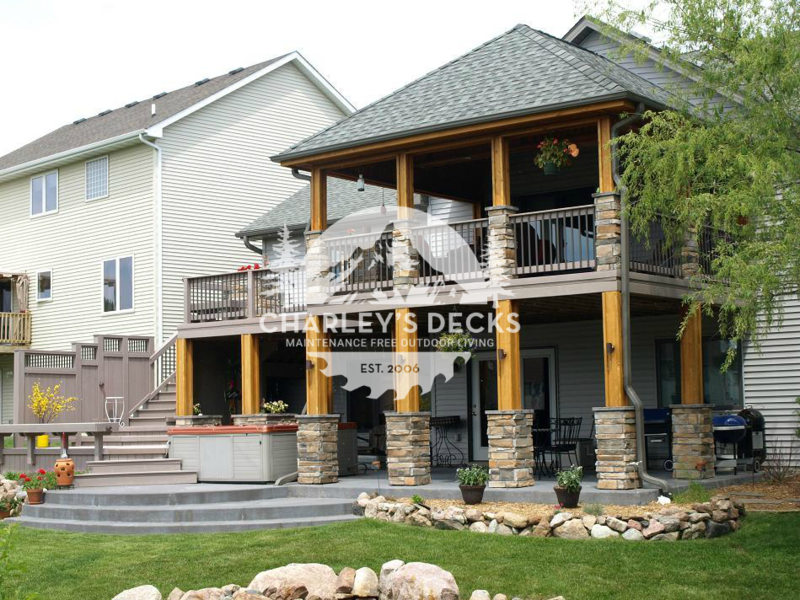 Charley's Decks provides a custom experience that is tailored to your desires, schedules and budget. 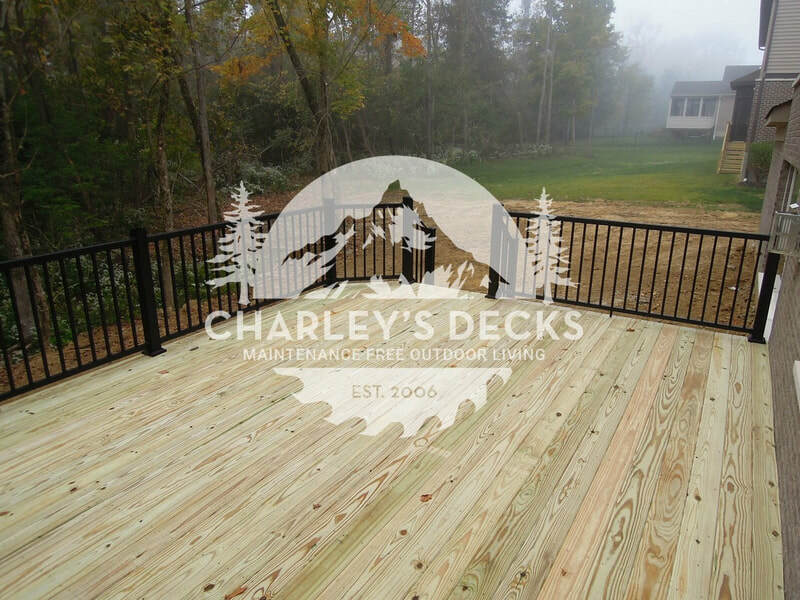 We strive to provide a better experience to our clients, offering truly personalized service and designs...so look no further because your search for a Deck Builder is complete. 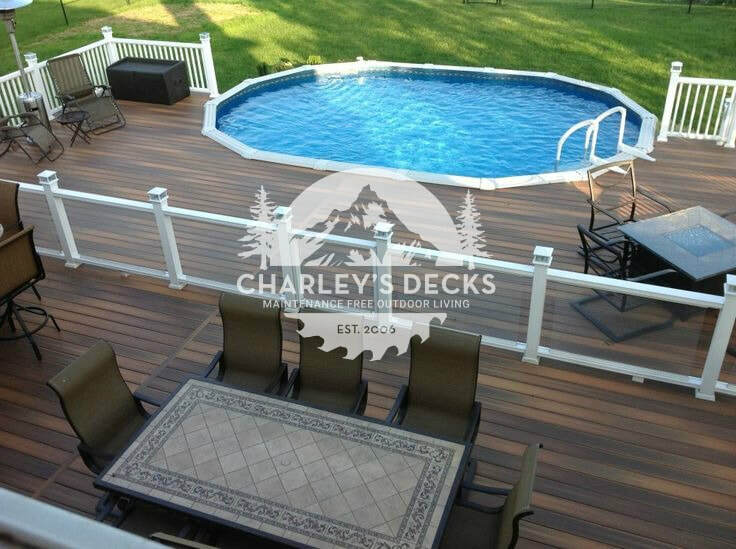 Charley’s Decks installs many wood decks, and uses only the best quality Kiln Dried Pressure Treated Pine decking. What does kiln dried mean? Kiln Dried decking has all the weather-beating durability you demand from treated wood, yet it is dried in a kiln, which reduces shrinking and warping. Not only does it have fewer knots and deficiencies, but it can be stained or sealed immediately. Natural wood decks are your best bet when you want to save on costs. Wood decks also have a natural look and feel that the other materials lack. Premium capped polymer decking, made without wood, that provides unparalleled performance while boasting a 50-year limited stain & fade warranty. 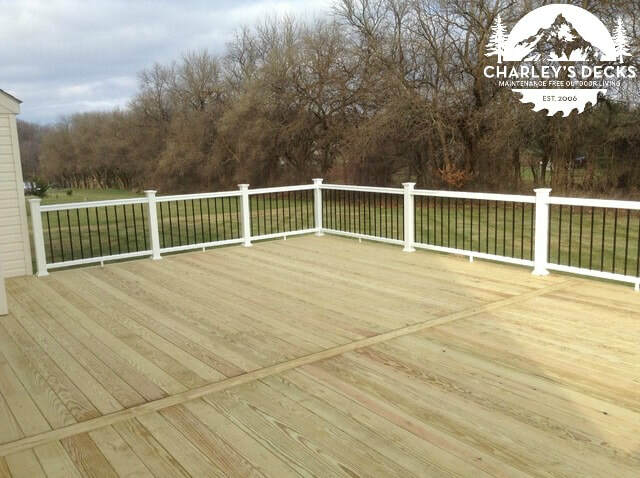 PVC deck materials offer the strength of hardwood combined with the low-maintenance qualities of plastic. 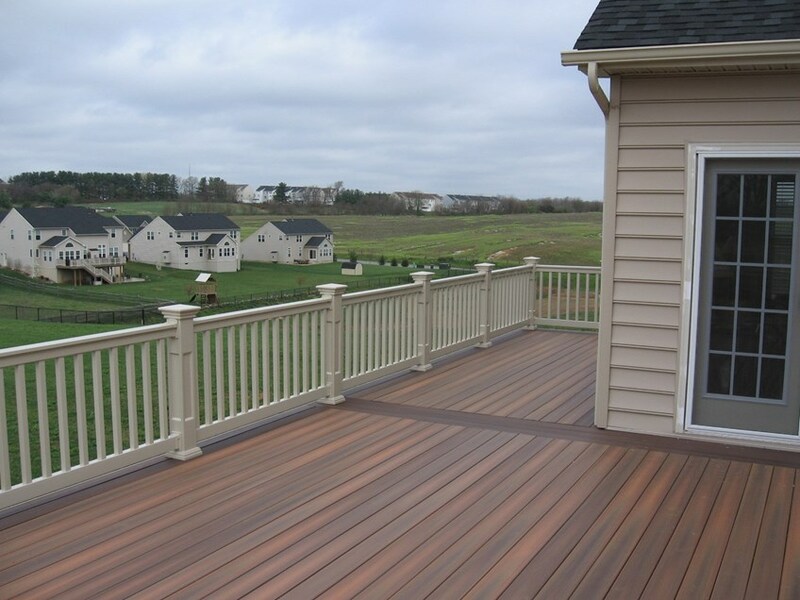 Simply put, our PVC decks can last a lifetime — without needing to be refinished or repaired. Since the PVC material is available in a variety of different colors, you have nearly limitless options when matching a PVC deck to your home’s siding. 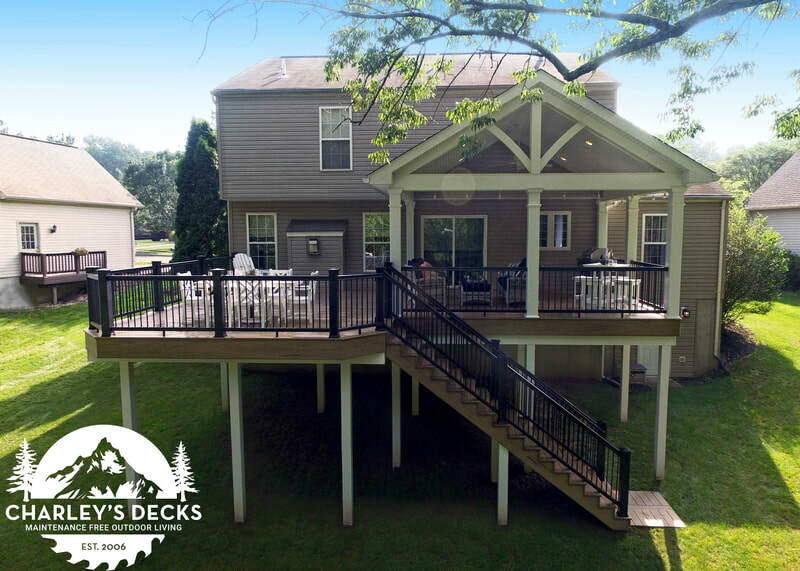 As a veteran Timbertech/Azek® installation contractor, we have decades of experience delivering jaw-dropping PVC decks to our clients — here’s why we recommend PVC decking, and you can view all the colors HERE. Typically more informal in design, a covered deck usually connects the kitchen to the adjacent backyard or garden area. Because back decks usually offer more privacy, there’s more flexibility with how this space can be used. While some homeowners prefer something basic and cozy, more expansive designs can give your backyard more function and appeal. For instance, a large covered deck might serve as an outdoor mudroom, a place to house an outdoor kitchen, or an area to sit by an outdoor fire feature. Charley’s Decks can also provide many design options as well as pair the roof with a maintenance free deck, wood deck and several other options. 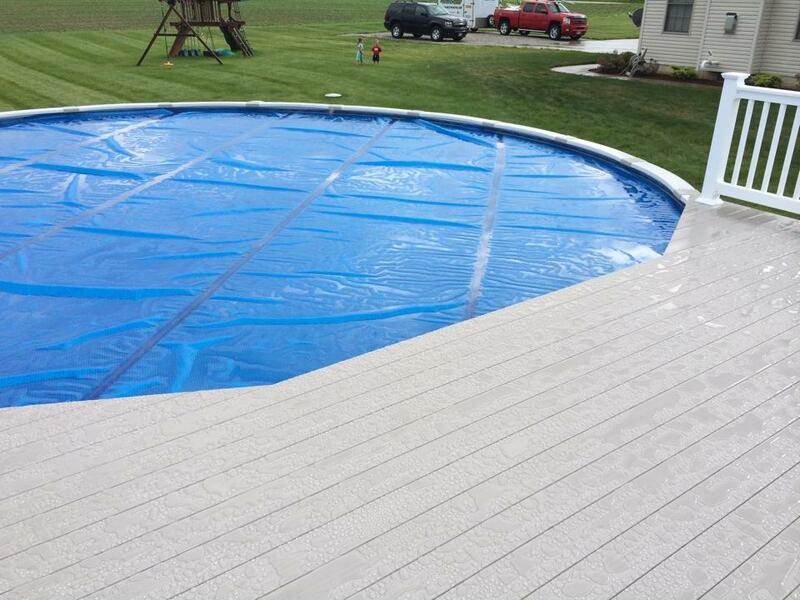 To get the most enjoyment out of your above-ground pool you need a deck that surrounds it. Not only will you never again have to climb a pool ladder, but a deck will also create a fun-in-the-sun gathering place for family and friends. It gives you a place to swim, sunbathe, dine at poolside or just visit. 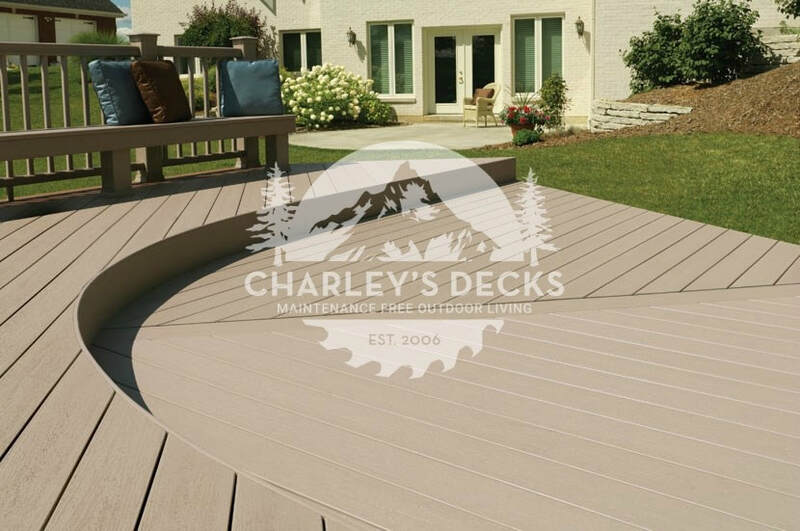 There are many design options available, just ask Charley's Decks! ​Vinyl pergolas are virtually maintenance free, and provide up to 75% shade from the sun. They can be freestanding or attached to your house, and include heavy duty brackets for either concrete patios or wood deck installation. Most customers prefer to personalize the look of their pergola with options. Whether it is a change in the style of post, privacy panels, extra columns, rafters, runners, or lattice, there is a set of options available that will produce the special pergola you are dreaming of. 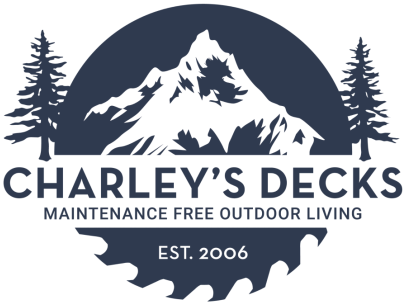 Charley's Decks LLC has now partnered with Dewalt®. Dewalt® tools are the most reliable and toughest products on the market today. Our team arrives at each jobsite fully loaded with Dewalt® tools and accessories to help provide the customer with the best service possible.